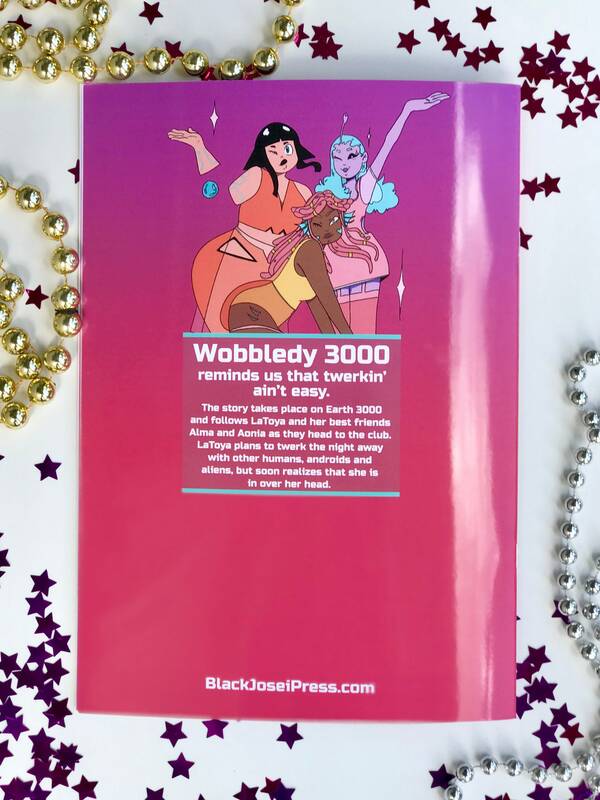 The comic book Wobbledy 3000 reminds us that twerkin’ ain’t easy. The story takes place on Earth 3000 and follows LaToya and her best friends Alma and Aonia as they head to the club. LaToya plans to twerk the night away with other humans, androids and aliens, but soon realizes that she is in over her head. 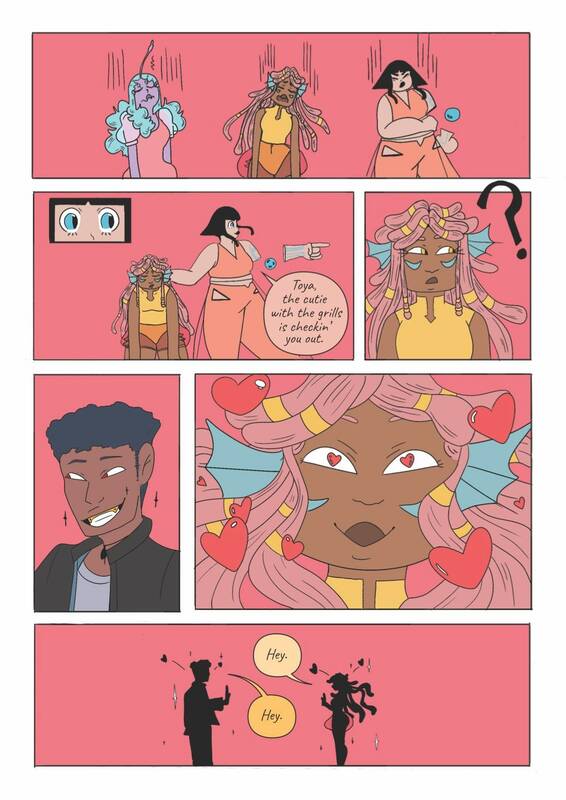 THE MISPRINT VERSION: There was a minor misprint on one of the pages, cutting off a few millimeters of art and text, shown in the last photo in the gallery. 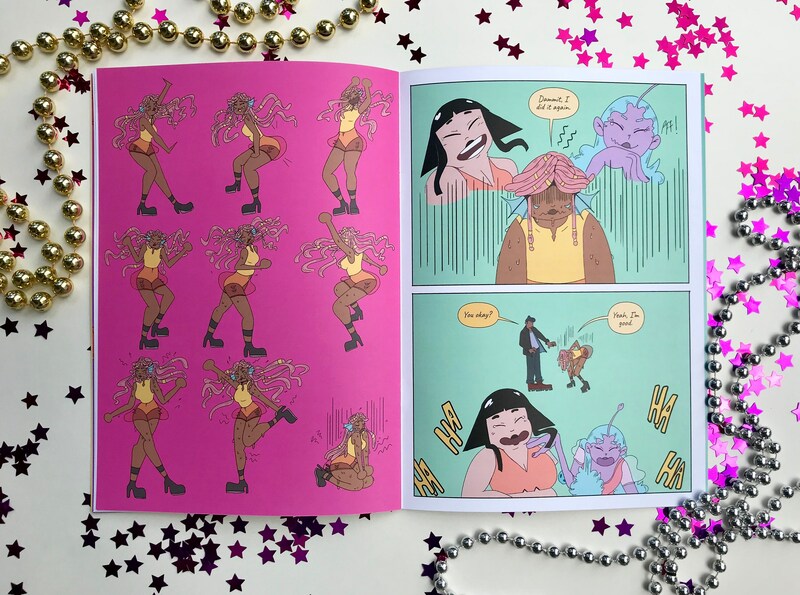 Because of this, the misprint comic is discounted to $5, with the original price being $8.